Students in the Bachelor of Science with a major in Business Administration program will evaluate strategic solutions to organizational issues within diverse business and economic situations applying critical thinking, financial and managerial knowledge. Multiple communication media and technologies will be evaluated to design appropriate business strategies for organizational and global business conditions. Students will integrate biblical principles and generate ethical solutions to business challenges. Students pursuing the Bachelor of Science with a major in Business Administration have the option of adding an online Human Resource Management specialization to their degree. With this option, students will be equipped to fill the role of educated professionals, demonstrate an alignment of knowledge and skills with Society for Human Resource Management (SHRM) standards for Human Resource professionals, and complete partial preparation for taking a Human Resources certification exam (with actual certification subject to additional requirements, such as work experience). Evaluate an organization’s current situation and formulate an appropriate strategy in response to organizational challenges. Integrate appropriate financial and quantitative methods to provide solutions within diverse global business and economic environments. Design appropriate strategies using multiple communication media to meet organizational goals. Apply relevant technologies to meet changing business conditions. Develop ethical solutions for business opportunities using critical thinking. Integrate a biblical framework that guides interaction within the workplace. Liberal Arts courses are offered through Indiana Wesleyan University and are available at many sites throughout Indiana, Kentucky, Ohio, and online. 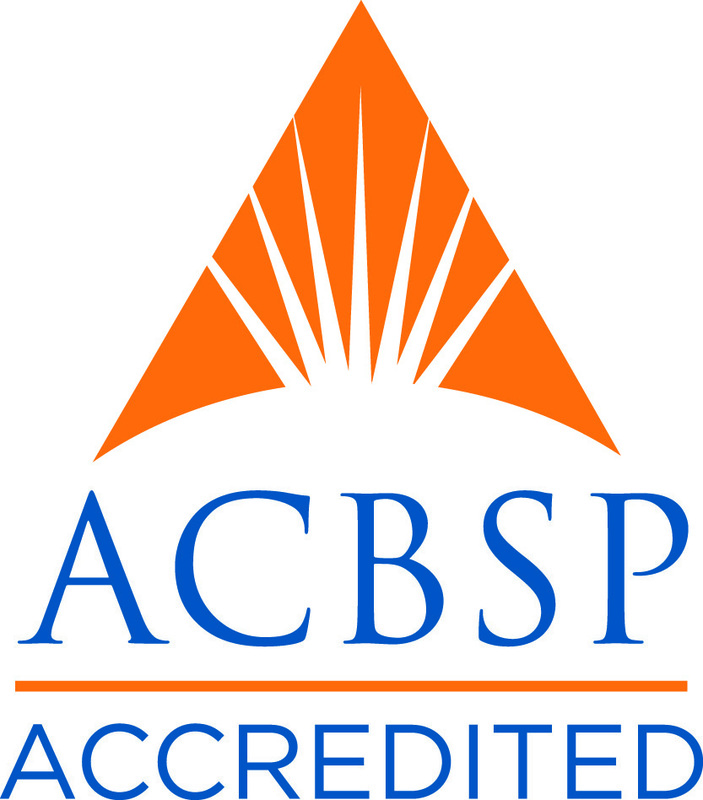 The Business Administration program is accredited by the Accreditation Council for Business Schools and Programs (ACBSP). * Effective July 1, 2018, through June 30, 2019. 1 48 total credit hours with HR specialization; Management minor adds 18 credit hours to bachelor's program. Financial aid is available in the form of loans, veterans benefits, and occasionally employer reimbursement. For information about financial aid, call 800-621-8667, ext. 2516, visit our financial aid website, or email apsfinaid@indwes.edu. Below is the list of courses required to complete the program. Courses are generally taken sequentially, one at a time, until the program is complete. Full course descriptions may be viewed by clicking on the course titles below. For further information, feel free to contact us. *HRM courses must all be taken through IWU. ADM 495 is taken last in HRM Specialization course order. Below are the lists of requirements for the BS in Business Administration program. Click on each link to expand the requirements. If you have any questions about the admissions process, feel free to contact one of our admissions representatives at 1-866-498-4968. Proof of high school graduation or GED certification. Official transcripts from all previous college or university studies at regionally accredited colleges or universities or at an institution accredited by the Association for Biblical Higher Education. Prior completion of at least 60 transferable credit hours from a regionally accredited college or university or an institution accredited by the Association for Biblical Higher Education is required before the student is eligible to start a bachelor core program. A maximum of 40 hours of credit may be earned through the assessed learning process toward the required 60. NOTE: If you only have 36 to 59 credit hours of previous college coursework, our unique Bridge Program can allow you to immediately start working towards your bachelor degree. Call a Program Representative at 866-498-4968 for more information. Completion of 120 credit hours. Completion of the required core (major) courses with a GPA of 2.25 or as specified in a program of study and a minimum of 30 hours of the core (major) taken at Indiana Wesleyan University. Overall cumulative GPA of 2.0 or higher. To be considered for admission to the Bachelor of Science with a major in Business Administration degree program, complete each of the following steps. For more information, call 866-498-4968 to speak with a Program Representative. Below are the program locations, upcoming dates, and meeting times for the Bachelor of Science with a major in Business Administration program. This list is updated regularly as new classes are added.